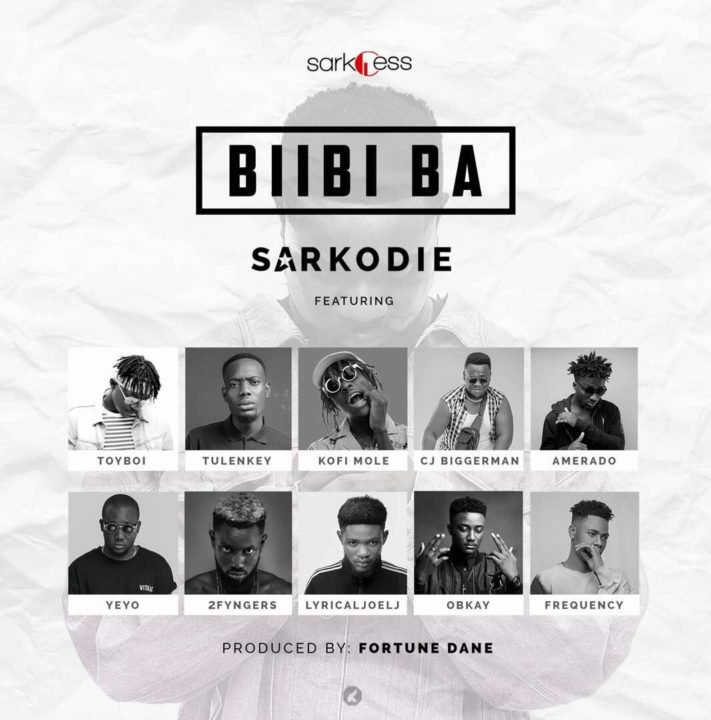 Ghana rap god; Sarkodie, returns with a horde of budding and rising Ghanian rappers in Toyboi, Tulenkey, Kofi Mole, Frequency, Yeyo, Lyrical JoelJ, Amerado, 2fyngers, Obkay and CJ Biggerman on this track titled BiiBi Ba. Each rapper brings a different type of flavor to the Hip-hop infused track. The 7 minute long track is worth a listen.